Pets enrich our lives beyond measure with their steadfast companionship, contagious zest for life, and unconditional love. For all that our pets give to us, it’s important to give them our best, too. If you’re currently enjoying an apartment lifestyle, though, it may seem im-paws-ible to do just that. A smaller living area, limited yard space, and neighbors in close proximity can cause pet parenting to feel a bit more daunting. The good news? Most pets are highly adaptable to a variety of living situations, including an apartment lifestyle! And by implementing a few tips and tricks along the way, it’s easy to make your living situation a more comfortable one for you and your furry Fido or Mr. Kitty. Read on to learn how to keep tails wagging and cats purring no matter where you live. At TLC Properties, we love your furry friends as much as you do! All TLC Properties are pet-friendly with a small pet fee and signed agreement. Your property manager can provide you with more specific details regarding pet ownership at your apartment complex. 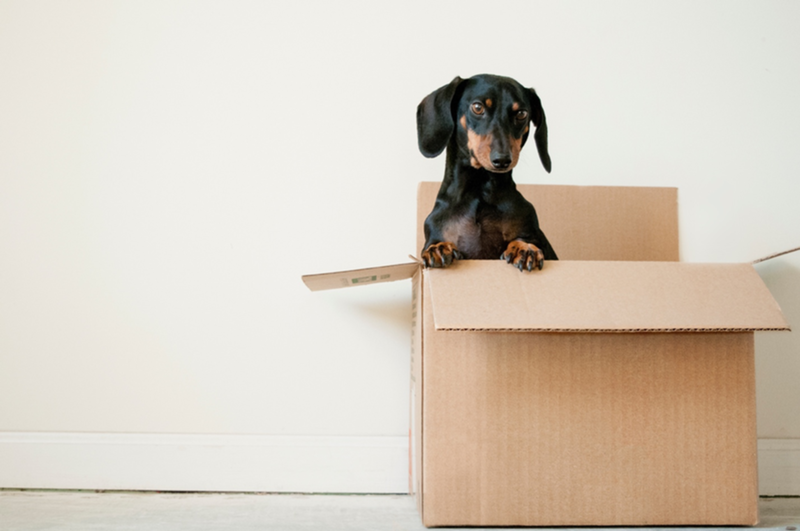 When searching for a new apartment with a dog in tow, you’ll want to aim for an apartment on the first floor to make potty walks less of a chore. 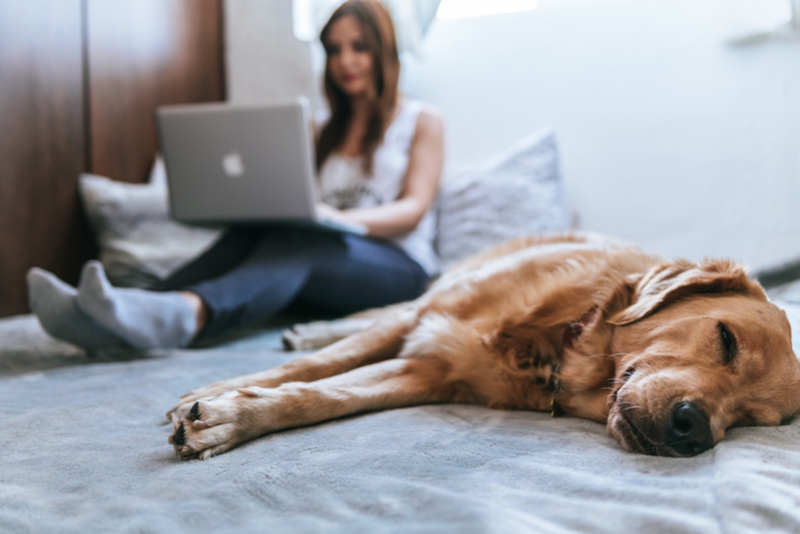 Consider also looking for an apartment with plenty of windows so your pet can soak in some natural light and have a first-row seat to outdoor happenings while you’re away. It’s easier for dogs to adapt to apartment life if you establish a potty walk routine. Aim to take your pet outside at the same times every day at the designated areas around your apartment building. If you happen to live on a top floor with a smaller dog, you might want to consider training your pup to use indoor Doggie Lawn. This indoor grass mat is attractive to dogs, and lasts for weeks without any odor. It’s a low-maintenance solution for busy pet parents who are also apartment-dwellers. When it comes to cats, keep the litter box hidden in the bathroom or a spare bedroom (cats love privacy, especially when it comes to bathroom breaks!). An enclosed litter box will help reduce the amount of messy litter scattered on your apartment floor. Odors are often more prevalent in small spaces, so if your litter box isn’t coming up roses, look into compact air purifiers to help safely eliminate the stink. High-energy dog breeds adapt well to apartment living as long as they get plenty of daily activity, including playtime outdoors. In addition to daily walks outside, increase your dog’s daily activity indoors with an interactive pet toy that can stimulate your pup both mentally and physically. Food puzzle toys are another great way to keep your dog busy and happy. Many TLC Properties offer dog parks, but If your apartment complex isn’t equipped with a trail or track, then why not explore a local park with your pup? There are a variety of dog parks in Springfield, MO that are specially designed for our four-legged pals and are a great way for your dog to make new friends! Your apartment community likely requires renter’s insurance anyway, but if not, it’s still a good idea to have. Even the best-trained dogs can act up from time to time, especially when boredom sets in. 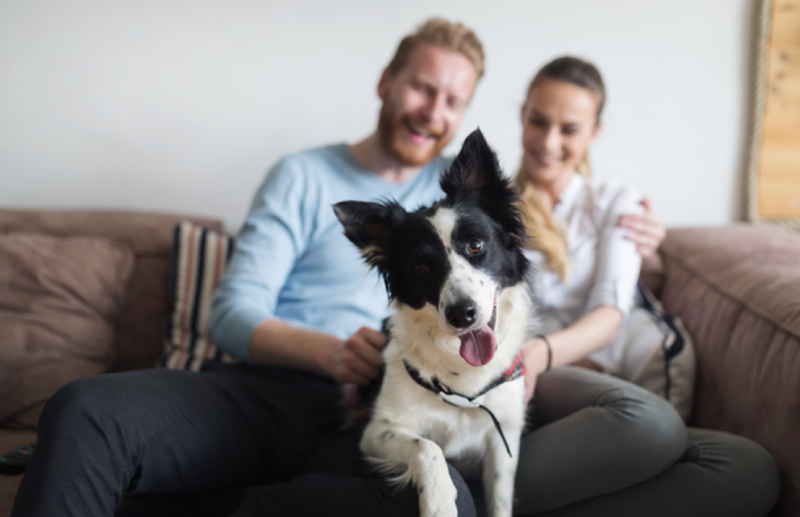 Renter’s insurance will help you financially if your pet causes any apartment damages, such as a scratched-up door, frayed carpet, or potty stains. In an apartment setting, you’re likely in close proximity to at least a few other people. A dog that barks constantly can be a nuisance to your fellow apartment dwellers. If your dog has an issue with barking, first try to understand why your dog is barking in the first place. Could it be a symptom of boredom? If increased activity and interaction with your pet doesn’t solve the issue, you may want to consider consulting with your veterinarian about behavioral training. As any pet parent will tell you, dogs can be a lot of work, and an apartment lifestyle isn’t always conducive for certain breeds. If you yearn for a pet companion, but lack the time and/or resources, consider a low-maintenance animal instead! Topping the list of low-maintenance pets are of course, fish. Betta and Goldfish are some of the easiest varieties of fish to maintain. Or, consider an unconventional pet, like a moss ball! Yes, you read that right. Moss Ball pets are actually collections of living algae that are considered good luck in Japan. When given the right environmental conditions, moss balls can live up to 200 years! 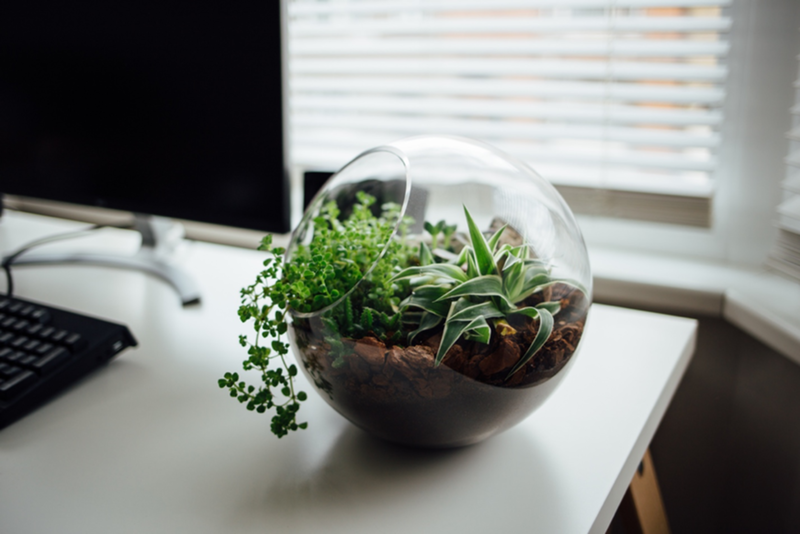 House your new moss ball pet in a cute terrarium and it can double as eclectic apartment decor that will surely spark interesting conversation among your apartment guests! The most important piece of advice for ensuring your pets are happy in an apartment setting? Make sure they get plenty of quality time with you! It doesn’t matter if your home is an apartment, yurt, tent or mansion; what a pet really craves above all else is their owner’s love and attention. 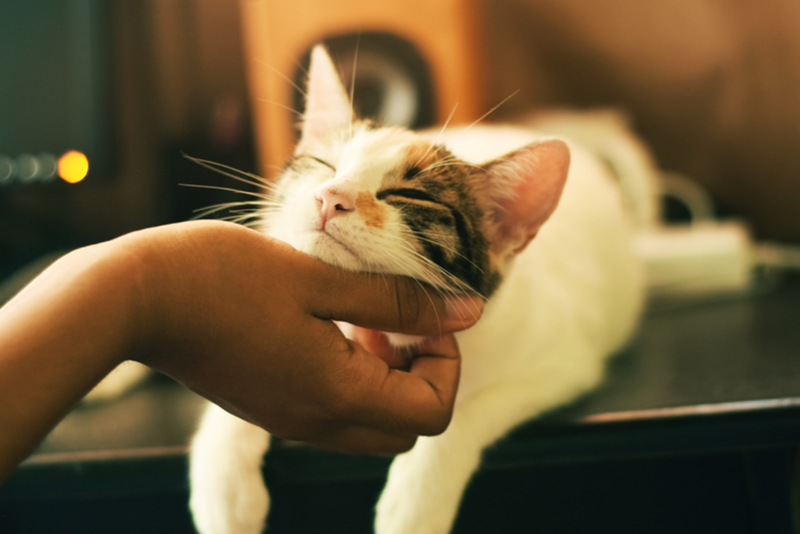 Is your apartment a paw-some pet haven? Share your best tips for other pet parents in the comments section below.